The owners of swimming pools are concerned when it comes to choosing the right option for pool fencing in Ringwood. They want a product that is functional and aesthetically appealing as well. Steel tube fencing is a popular option because it is affordable and allows convenient surveillance for ensuring pool safety. Generally, people are unaware of pool safety requirements. If you are on the lookout for steel tube fencing installers who are compliant with Australian pool safety standards, then Kidsafe Pool Fencing has got you covered. What makes our fences the best? Along with being cost effective and affordable, our versatile products can be used in both residential and commercial settings. Whether it is a private swimming pool in a house or commercial pool in a spa or school, you can rely on us for customised fences. Another good thing about our fences is that they are sturdy yet lightweight. Many people think that tubular fences give pools a tacky outlook but with our sophisticated styles, you can be sure that your pool fencing in Lilydale will look elegant. 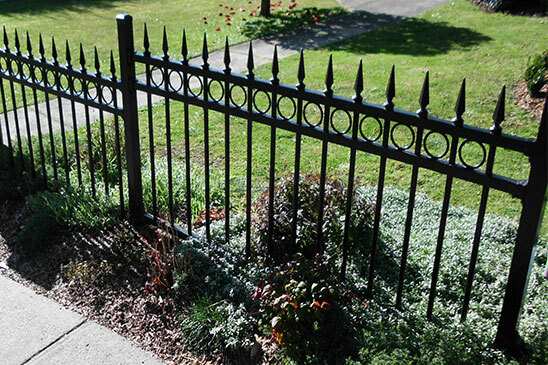 While manufacturing the fence, we make use of premium quality steel so our products do not corrode or rust for a long time. For fittings, we use trusted brands only. This way, we can be sure that the installation is done to the highest standards. Our experts can advise you on the best products and utilisation of space before installing the fence. Our warranty on workmanship ensures that you are getting the best people for the job. We provide free onsite quotes for pool fencing in Lilydale and Ringwood. If you want to discuss designs and prices with us or would like consultation for your pool fence, then feel free to call us at TEL: 0419 554 941.